How Do I Know if I Have Had PPI? 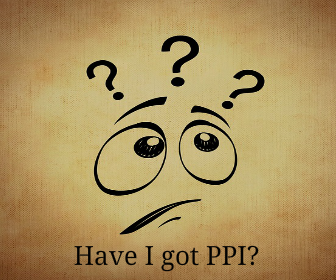 Clients or prospective clients have at some time or other either asked but certainly thought, how do I know if I have had PPI? The simple answer is you don’t and for this very reason is why you should find out. In fact don’t beat yourself up most people do not know if they had PPI, why should they. So if you do receive a scam call or text saying you are due a refund or contact this number as we have established that you have had PPI and can make a claim they are as we call in the trade, lying! Payment Protection Insurance is a cover that was historically applied by the banks, building societies, mortgage and loan lenders and any other firm that you care to think of that provided finance. Yes this most importantly includes credit cards a facility that so many people dismiss or overlook. Remember those credit cards we all had in the 1990 through to the new millennium, yes those are the ones well so many of them had PPI and no one even knew they were paying. If you have had a credit card in the past and have not made a claim you must let us look to see if PPI was applied. So you have no paperwork, you can’t remember if you had paid Payment Protection Insurance and if you did surely all of the borrowing you had was too long ago. 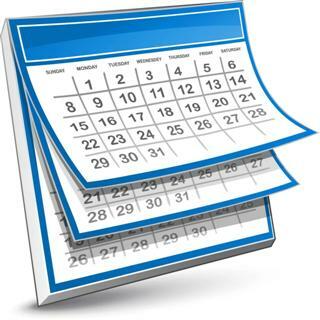 Guess what if you can’t remember it doesn’t matter, it doesn’t matter how long ago and if you don’t have any paperwork it is not a problem, we can answer all these questions and if the answer is no there is not going to be a refund then there is no fee to pay as we work on a purely no win no fee basis. The most important information you have is the name of the lender, again it doesn’t matter if the lender is in business or not or if someone on line says they are difficult. With this we can contact them and with a bit of nagging they are normally able to provide the details to see if you ever had PPI. If the lender for some reason and after a fair bit of nagging cannot find the details or if there was no PPI then there is no fee to pay. The only time we charge a fee is if we can obtain a refund on your behalf in which case we charge a fee of 25% inc the VAT of the refund. So it doesn’t matter whether you know if you have had PPI, all you need to do is contact us and provide a list of the lenders where you have had facilities in the past or present. Remember these include Loans and credit cards, don’t forget the credit cards everyone forget s them but they can have the largest refunds, as any refund is made with interest at the prevailing rate of the facility that it was charged as credit cards often had interest of 25% plus! If you are struggling with how to find old account numbers for ppi claims we can help, we have enabled hundreds of our customers to reclaim all their mis-sold PPI without the need for any original paperwork or the account numbers. In many cases we have discovered and recovered mis-sold PPI on loans and credit agreements that the customer had forgotten about. We are experts in claiming back far further than the usual 6 years and in some cases have been able to claim back as much as 25 years worth of mis-selling. Payment protection insurance, or PPI, is a type of insurance designed to cover credit and loan payments. It is typically sold by lenders like banks as part of the credit or loan product. PPI usually covers the payment in the event the borrower is unable to make the payment due to unemployment, illness or injury. These lenders often sell PPI to borrowers who are unable to collect payment protection refunds under any circumstances. How to find old account numbers for ppi claims >> Complete the form on this page to get started. We will not need any original paperwork to help you make a claim. The current controversy over PPI is due to the rate of rejection for PPI claims, which is significantly higher than that of other types of insurance. This is primarily because customers often buy PPI without determining if they will be eligible to make a claim. Many of these customers are unaware that they have even purchased insurance for their credit product. Lenders typically sell PPI at the same time they sell the primary product. More than 20 million PPI policies existed in the United Kingdom as of 2008 and about seven million policies are added each year, according to the Policy Assessment Service. About 40 percent of these policyholders say they are unaware they have a PPI policy. Consumer groups such as Which? claim that PPI has been mis-sold on an industrial scale since 2000. Lenders were highly motivated to sell PPI to their customers because this insurance has a high profit margin, typically 80 percent. This means that PPI routinely earns more money for the lender than the original loan. Many lenders offerd loans at a very low interest rate to attract borrowers, and they frequently provide large commissions to the loan officer who completes these loans. Virtually all of the profit on these sales comes from the PPI. Some lenders provide their salespeople with scripts that only mention that the loan is protected without informing the borrower of the cost of this protection. The Open University claims that many salespeople also inform borrowers that PPI was mandatory or that it would increase the chances of getting the loan approved. Customers in financial difficulty are unlikely to question these statements. A customer who unknowingly purchases PPI can file a claim against the lender. The Financial Services Authority has fined several large financial institutions for misrepresenting the sales of PPI. Claims involving PPI comprised 30 percent of the claims made against these institutions for the 2009 to 2010 reporting period, according to the FOS. The Competition Commission implemented additional rules in October 2011 that are designed to allow consumers to make more informed decisions regarding PPI sales. These rules include a prohibition on selling PPI at the same time as the loan product and a requirement for lenders to conduct an annual review of PPI sales. Remember we can help you with how to find old account numbers for ppi claims by doing all the research for you… simply fill in your name and email below to get started. 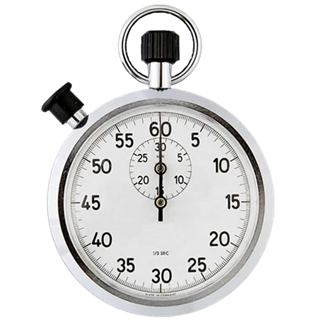 What is the time limit on a PPI Claim? Across the UK, millions of people are looking over their loans, mortgages and credit card payment information to see if they have been overcharged for PPI or payment protection insurance. The recent scandal involving many UK banks and lending institutions has resulted in thousands of PPI claims being filed every day at the Financial Ombudsman Service and that number is growing. Payment protection insurance is basically paying for security if you should be unable to make your regular loan payments due to an unforeseen event. PPI covers such unforeseen events as becoming suddenly unemployed, injured or suffering from an illness where you cannot earn a living. When these unexpected events that are covered by PPI occur, then the insurance takes over the payments of the loan until the borrower recovers or finds new employment. What is the scandal involving PPI? These represent only part of the scandal as there were other ways that banks and lending institutions took advantage of their customers. How do I know if I’ve been victimized in this scandal? The first step is getting a copy of your loan or credit card contract and a copy of your monthly bill. Next, any copy of the contract where you were explained the services of PPI if one exists. Now, if PPI was not part of your original loan and your monthly bill reveals that you are being charged, then you have a very strong case. However, other than that it can be much harder to define on your own if you have indeed been taken advantage of by the lending institution. Barring finding inconsistencies, the actual interest rates compared to what can be legally charged may require a little research and assistance. Is there a PPI claim time limit? This is a growing question for many UK citizens as they discover more about this scandal and that it goes back for several years. First, it is important to know that while the government program that is designed to rectify this situation may not be unlimited, currently there is no set time limit on filing for a PPI claim. This means that if you have paid off the loan and even used the PPI at some point, you may be entitled to getting money back if they misrepresented or overcharged you. However, it is important that you act now to get your PPI claim filed properly. By taking action now, you can get your money back sooner. How far back can you claim PPI? This will depend on when the loan or credit agreement was taken out the standard amount of time usually quoted by claims companies is six years. We have been able to claim much further back than this with some of our clients reclaiming up to 15 years of their mis-sold PPI. Don’t worry if you no longer have the paperwork or documents, we are able to make a claim on your behalf without any kind of paperwork or even the policy number. Please fill in the form on this page for a free no obligation consultation. Lots of people who are currently complaining about PPI are in time as it’s only recently that they have known that there has been a problem with the miss selling of these policies. Usually if the policy was sold a long time ago, the banks may not hold the records for the borrowing or the policy itself, which is why they have said that it is too old for them to look into. But if you do hold information regarding the policy or have a loan or credit card statement showing PPI payments, then the banks should look into the complaint, where you can send them proof of this. If the banks still decline the claim, they should send you a letter stating the reasoning behind this and then you can send the complaint to the Financial Ombudsman Service for them to review. If you do not want to go down this route then we would be happy to look into the complaint for you, all we would need to know to start a claim is the name of the lender and if you have moved house, then the address that the lender would most likely have on record for you. We work on a No Win No Fee basis, so if no PPI is found or if a refund is not agreed by the lender then there is no fee to pay. Don’t delay, email your name and postal address to info@rymltd.co.uk or call 01752 840623 to talk to someone about your situation.